Get Him Back with My 36 Videos and My Complete Ex Back Multiplier Solution! The Ex Back Multiplier compliments and enhances my best seller, Get Your Ex Back Fast! I get it…but I’m here now, to help you! I was really feeling down in the dumps after my break-up with my boyfriend. A friend of mine recommended that I check out this course. I was skeptical to say the least. When I saw that there was a money back guarantee attached to this, I decided to make the purchase. I figured, I had nothing to lose. Well, I got to say, it was the best investment I made for myself and my emotional state of mind. I was feeling alone, sad and hopeless. With Gregg’s help, I can say that he was with me every step of the way. I am back on my feet feeling great and now have got my ex-boyfriend knocking on my door wanting me back. Gregg’s program really does work. Thanks Gregg! You have made me feel hopeful again. You’ve been trying to get him back directly. You’ve texted him, maybe left a few unfortunate voicemails, probably sent a few scathing emails, and what has it gotten you? Nothing! It’s not your fault. This is what your female instincts tell you to do. It’s what your girlfriends, your mother and your sister are telling you to do. But now, there’s a new sherriff in town who is going to show you the right way to get him back…INDIRECTLY. Start Getting Your Ex Back Now! Even though you feel as if nothing will bring him back. Even IF he has said his final goodbyes. We will draw him back to you! 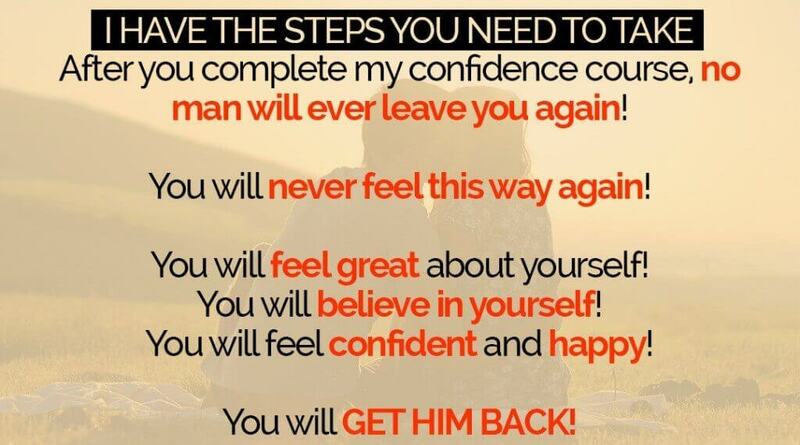 I have the solution which has helped hundreds of women get their ex back! I have the solution which will get YOUR ex back! I can make him BEG you to take him back! I can make him want to be your boyfriend! Women who follow my advice develop successful, happy relationships with high value men who treat women well. They have men begging to date them. Men cannot resist confident women. Your ex is no different! By using the materials in this course, you will become that confident woman! YOU will become the woman HE cannot resist!